One thing you realize when you go vegan is that proper seasonings are crucial for delicious veggie dishes. And fortunately, with the right spices, we can make equally satisfying plant-based versions of our favorite meals. Of course, there are some classic seasonings you probably already have on hand. We’re thinking the essentials like sea salt, black pepper, garlic powder, cayenne, paprika, bay leaf, crushed red pepper, and oregano. But there are a few more—ones that you’re less likely to have—that can be the difference between an OK meal and one where you’re dying for seconds. This list wouldn’t be complete without this quintessential vegan seasoning: nutritional yeast. Known for its cheesy, nutty flavor, nutritional yeast can be found at most natural food stores and in the bulk bin at some nationwide grocers like Whole Foods. From an amazing Parmesan alternative to a bomb dairy-free nacho cheese dip, nutritional yeast (lovingly known as “nooch”) can do it all. This one shouldn’t come as a surprise. What you may not know is that cumin is one of the most popular spices in the world and has been around for thousands of years. Whether ground or whole seeds, cumin is almost always used in savory recipes and is great in chili, tofu scramble, lentil dishes, and much more! Be sure to always have some veggie broth or concentrated bouillon on hand. This will add flavor to simple dishes like rice and beans and creates a flavorful base for other favorites like soups and stews. Heck, you can even use this stuff to make your own seitan! Black salt, also widely known as kala namak, is a rock salt that adds an eggy, sulfuric taste to dishes, making it perfect for vegan eggless recipes, especially tofu scramble and vegan quiche! Commonly used in South Asian cuisine, black salt can usually be found at Indian grocers and the occasional natural food store. This stuff is great anywhere you need a little smokiness. A substitute for wood smoke (who has time for that?! ), liquid smoke deepens the flavor of certain dishes and is often used in vegan bacon recipes. While having some dry herbs on hand is essential, you can really take recipes to the next level by using fresh herbs. Plus, some of the best savory recipe additions are made with fresh herbs. We’re thinking pesto, chimichurri, and tabbouleh! Soy sauce is a great marinade for tempeh or tofu and a flavorful way to add some saltiness to a dish. If you like things less salty, fear not; liquid aminos (found at most health food stores) make an excellent substitute. This spice is fairly common and incredibly popular in vegan dishes, especially savory breakfast dishes—lending color to tofu scramble, quiche, and tofu omelets. Plus, this spice is a crucial part of any curry and is known for its anti-inflammatory properties. Yep, you read that right. These blends are pretty much always vegan, and you can add a ton of flavor to dishes without buying a ton of spices. Also keep an eye out for other well-loved blends like garlic salt, Italian seasoning, Old Bay, pumpkin spice, and garam masala. Wondering how to stock your vegan pantry? Fear not! We’ve compiled a list of the essentials. Not veg yet? 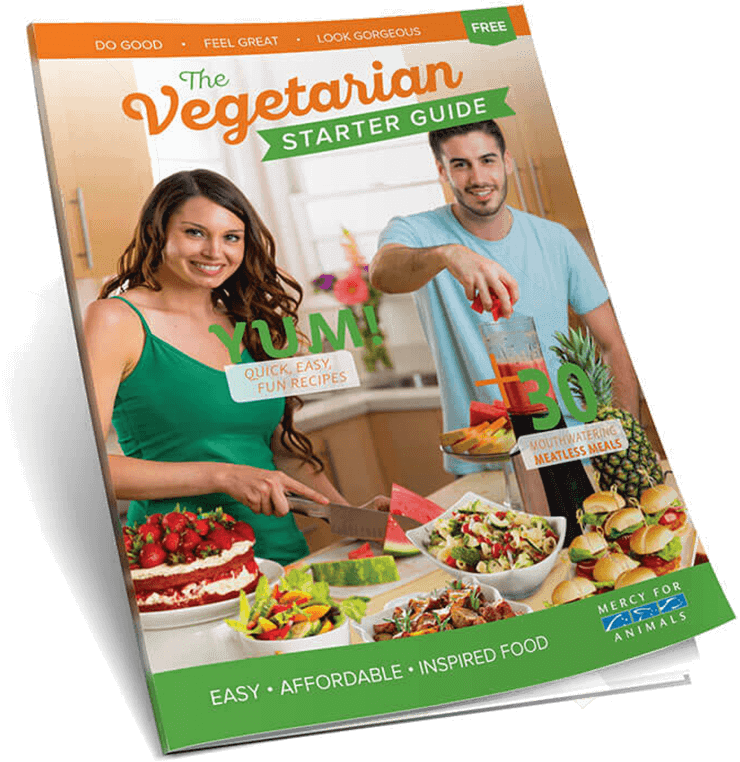 You can get mouthwatering plant-based recipes, easy meal ideas, and tips on switching to a vegan diet by ordering our guide here.